With ease in the day. KLUDI Pure & Easy stands for reduced design, which can be perfectly integrated into modern bathroom styles. This versatility makes the faucet line so popular. 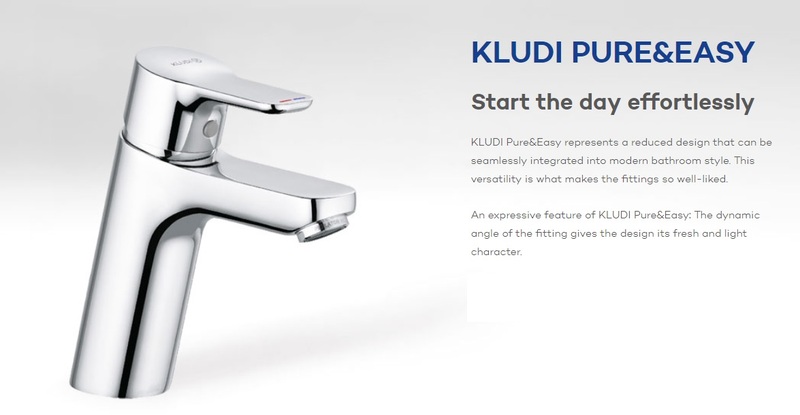 An expressive feature of KLUDI Pure & Easy: The dynamic tilt of the fitting gives the design a fresh and light character. Click here to view all products in this range. 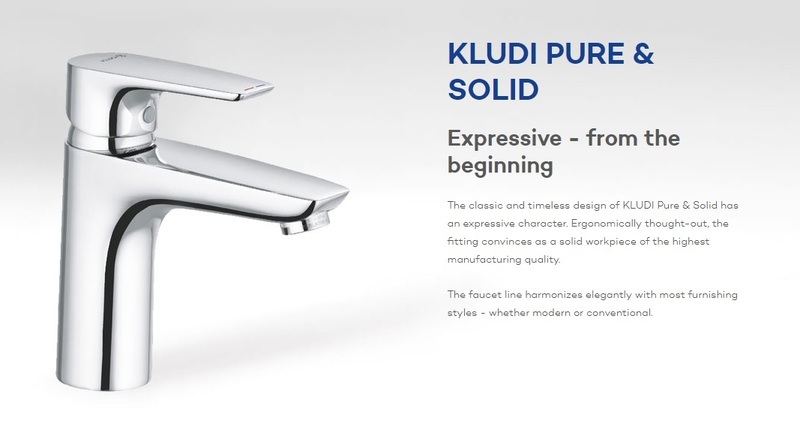 The classic and timeless design of KLUDI Pure & Solid has an expressive character. Ergonomically thought-out, the fitting convinces as a solid workpiece of the highest manufacturing quality. The faucet line harmonizes elegantly with most furnishing styles - whether modern or conventional. 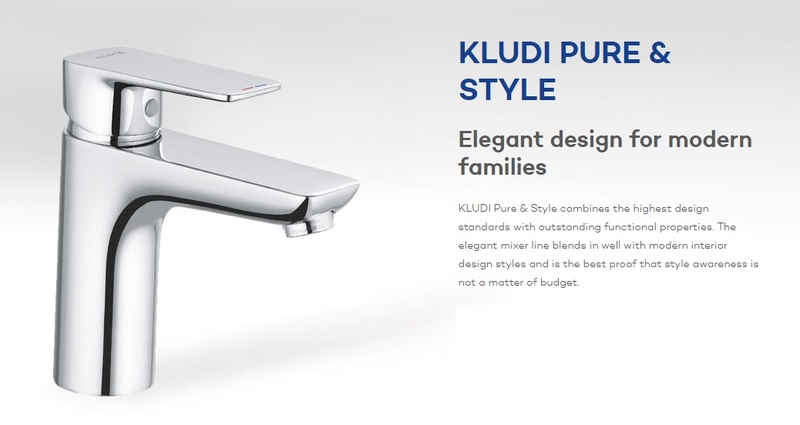 KLUDI Pure & Style combines the highest design standards with outstanding functional properties. The elegant mixer line blends in well with modern interior design styles and is the best proof that style awareness is not a matter of budget. It's a beautiful range, isn't it?